Patricia Goede (Speakers) VP Clinical Informatics, XIFIN, Inc.
What does FutureLab look like? What does your lab need to focus on to be ready to operate in a Clinical Lab 2.0 environment? In this one-day interactive Summit, strategic planning experts and lab leaders will guide attendees step-by-step through the process of connecting trends to trajectories and developing a competitive roadmap for your diagnostic lab using Clinical Lab 2.0 ideology. In the morning sessions, we’ll conduct an external scan and learn about the market opportunities and threats facing laboratories, such as new customers, alternative markets and revenue streams, the compliance/legal environment, and non-traditional competition. We’ll also explore emerging FutureLab technology and innovation, such as artificial intelligence and innovation in pathology. In the afternoon, we’ll do an internal scan. 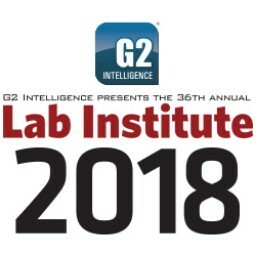 Attendees will learn how to assess their own labs’ strengths and weaknesses to defend against the threats and to maximize the opportunities. And finally, we’ll connect the dots and target specific strategies you need to become a successful FutureLab. You’ll walk away with a practical Clinical Lab 2.0 toolbox to facilitate future planning. Determine action steps and target additional learning at Lab Institute 2018.